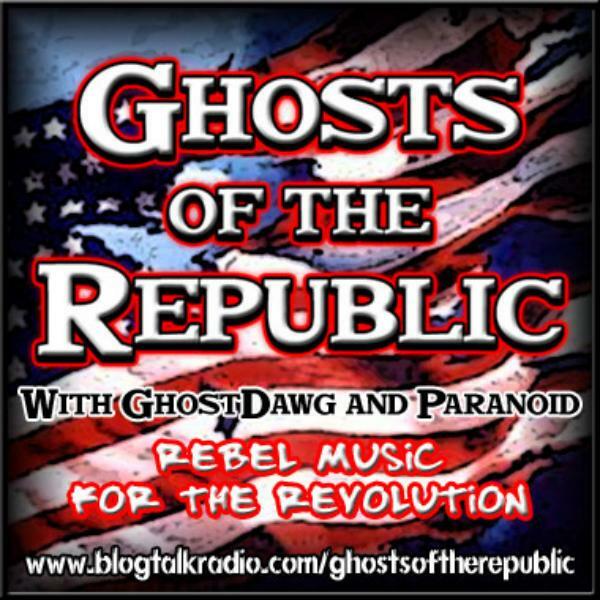 Ghosts of the Republic Radio LIVE every week!!! Join us for the best in anti-NWO tunes. and interviews with the artists, activists, authors and reasearchers that have the balls to speak truth to power.. Every Wednesday night at 11 p.m. est. ****MOVED**** moved to http://www.requiemradio.com/ join us wednesday night at the same old time. and sun nights at 9:00 central time. for sovereighty sundays with paranoid..
Musical guest PAYDAY MONSANTO also JON ROLAND from The Constitution Society. and Head lines from the front lines,with dom. Aired on wed,feb 02,2011 Guests: William Cooper And Stonface. Tonight Musical guest: Stoneface with william cooper CEO of gemstar regime. musical guest Stranga the great also the liberty restoration project. Tonight we discuss the StrawMan theory.